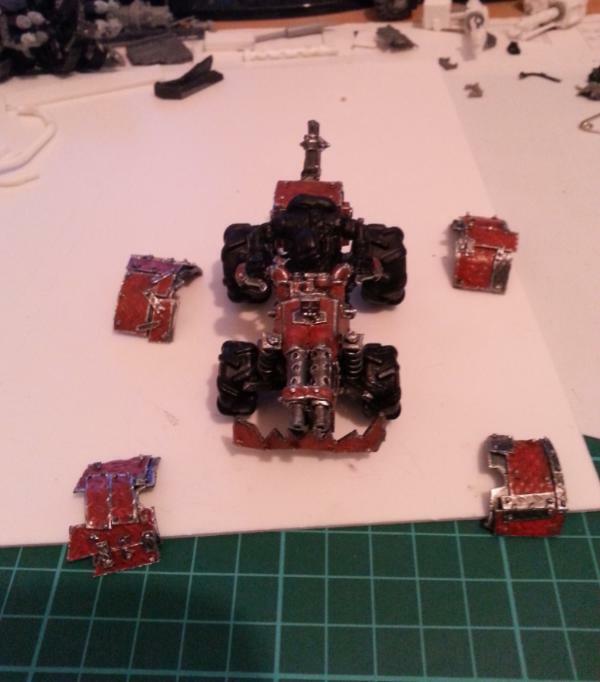 This blog will be mostly focused on painting and converting Orks but I do have the odd tendency to do something different, e.g. Blood Angles/Knights Sanguine (Custom Chapter) or Tanith models. Why I chose to create this blog was to keep a recorder of all the things I've done as well as give people the opportunity to actually see my creations, otherwise they would just sit in a dark cabinet in my garage. 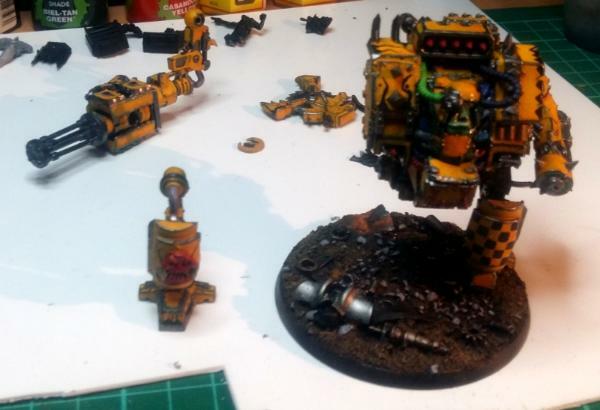 :( Also I've been meaning to do this for ages and with the renewed interest in Orks due to their new Codex and model releases for "Orktober" it seemed like a perfect excuse to finally take the plunge into a blog. I have looked at countless blogs in the past and taken ideas from them when trying to do my own work. 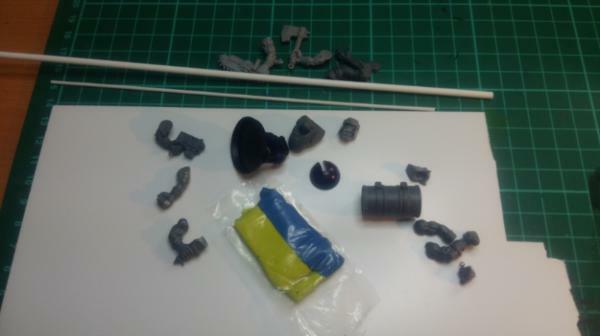 With this blog I also want to give back to the hobby community in some way. I really do hope that people come here to look at my work and take something away, copy something I've done and put their own spin on it or try an idea of their own. As long as you are enjoying the hobby and having fun doesn't really matter what you do. Over the next few days and weeks I'll be updating this blog to catch up with my work from the last few years. Hope you like it. 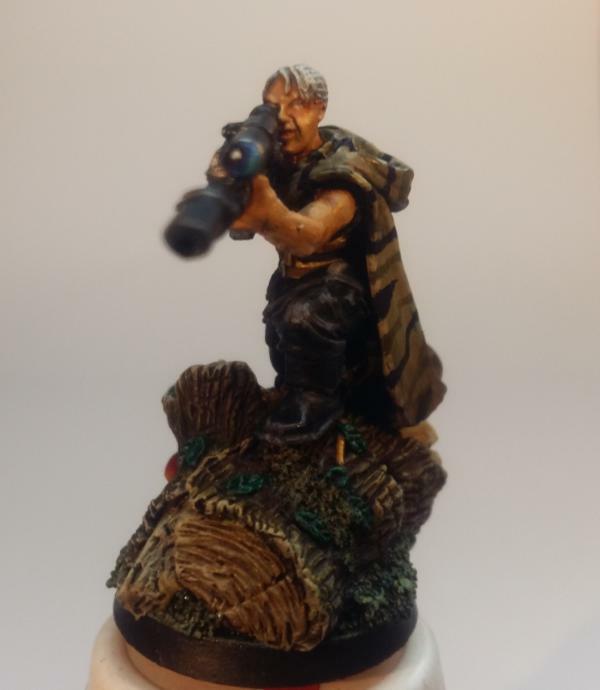 Every month Paradigm runs a different Painting challenge in the Painting & Modeling section of the forums with a vote on the entries at the end of the month. Its been going over 3 and a half years now and is really the whole reason I got back into painting and have stayed doing it for so long. There are some really talented and supportive people that regularly take part in the challenge, everyone one and every ability is welcome. Its about getting people painting and staying motivated . There is a league table as well if you enjoy the competition side of things or want to see how you have improved over the months. I strongly recommend checking it out and entering some models. Since a young age I have always been interested in historical and fantasy warfare. My first memories of computer gaming where pestering my Dad to play his Dragon Computer, one of the first home PCs/consoles made in Wales (https://en.wikipedia.org/wiki/Dragon_32/64). 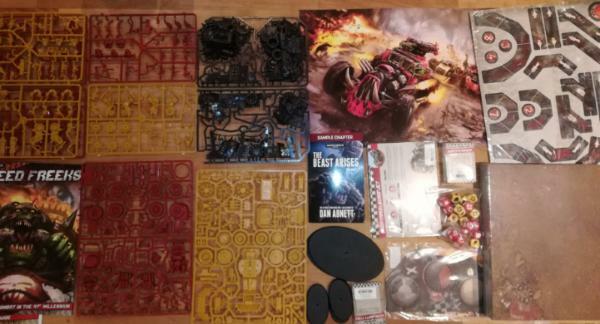 Fast forward a few years to a 10 year old me at Christmas getting a Box of very interesting things called "Warhammer Quest". Me and my brother loved playing that game and developing characters as we progressed. 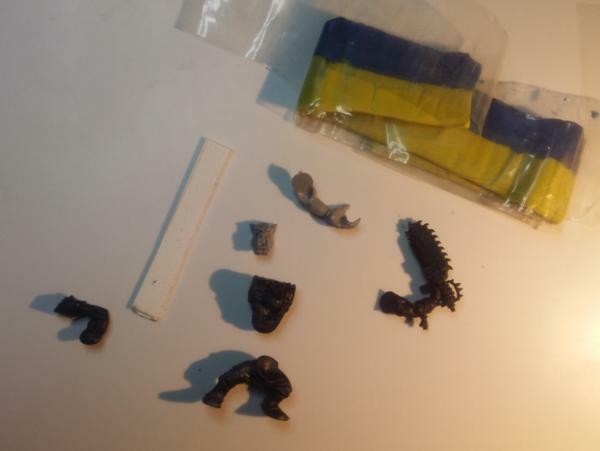 We then started to collect Fantasy Armies I went for Orcs and my Brother, Dark Elves. 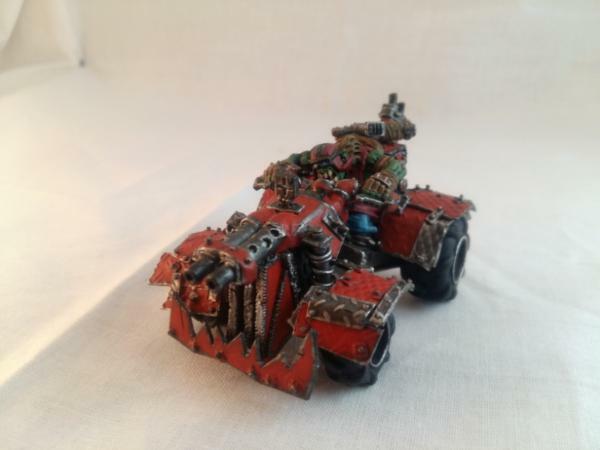 After a few years this then expanded to 40k were I carried on my Orkish tradition and my Brother went for Blood Angels. We liked to set up and play games of either type but rarely finished a full game and also cheated quite a bit since we didn't really understand the rules . Then around 13 - 14 years old we got ourselves a copy of Mordheim, probably my favourite game to date. I loved playing campaigns and dragging our warbands through the city with missing eyes and limbs. At this age some of our friends started to give up wargaming we either got their armies for free or at a very reduced price so our collection expanded very quickly. (I still have all these models 15 years later, they need stripping - its on the to do list!). I then started to lose interest in the hobby from 15 onwards but still played the odd game during School summer holidays or xmas break. I was generally playing Football at weekends and RPGs and FPS on the PC like Baldurs Gate, Delta Force, Final Fantasy 7 in my spare time, which gave me my required dose of Fantasy and Warfare each week. Another jump forward to a 19 year old me leaving home to start a 3 year electronics apprenticeship. We played many LAN games in the evenings and weekends when there was nothing else to do. In the second year of this apprenticeship while living in a flat with 5 other apprentices we started discussing Warhammer, 3 of us ending up buying a few boxes of troops and starting a Mordheim Campaign which I was very happy about. We also started our first MMO together with Lord of the Rings Online which was great fun if not a bit frustrating at times due to the unreliability of our internet connection. Once the apprenticeship finished I moved into a flat with 1 other apprentice (who later became by best man). I played a lot of online games in the 3 years at that flat and started painting again just for something different to do. I was going away with work a lot for weeks at a time, I brought a few models and some paints with me then so I had something to do in the hotel rooms. In 2010 I met my future wife My flatmate moved out to live with his now wife and I also moved out to live with mine. She lived in a new build block of flats and after a little while we got to know a few people who where interested in board games so we occasionally got together to play things like ...... I convince 2 of them to play a game of Mordheim but sadly we moved out of the flat into our house after only 1 or 2 games. I went crazy on e-bay and bought a load of stuff that we could use but most of it didn't get a chance to be used for whatever scenarios I can planned. e.g. 40 dire wolves for a survive the horde pack type event. Nice! Looking forward to seeing your stuff collected in one blog. 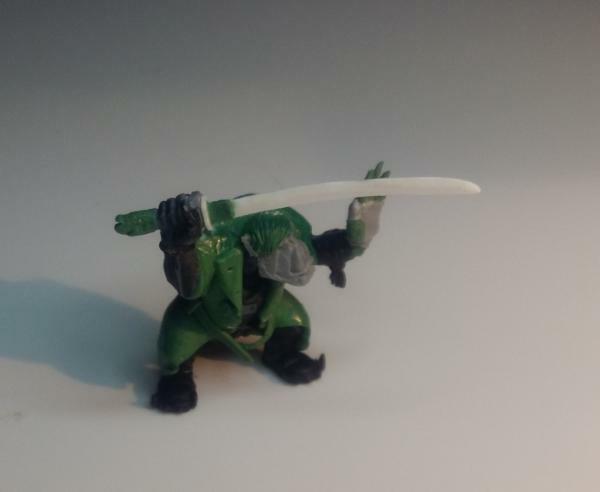 First Post here we go, its quiet nice looking back and seeing you have improved, which I think I have from this 1st model. 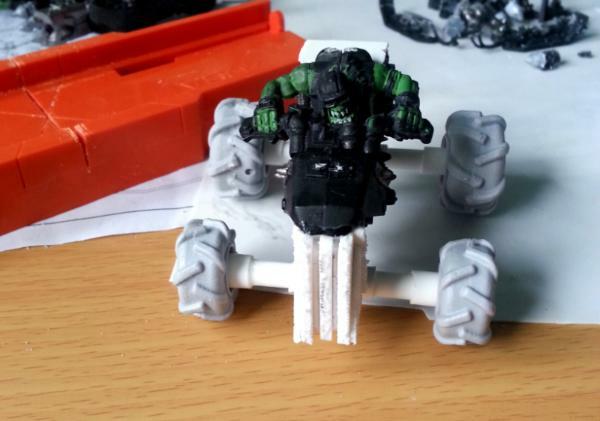 This Ork Quad bike was the first model I tried converting since getting back into the hobby in May 2015. 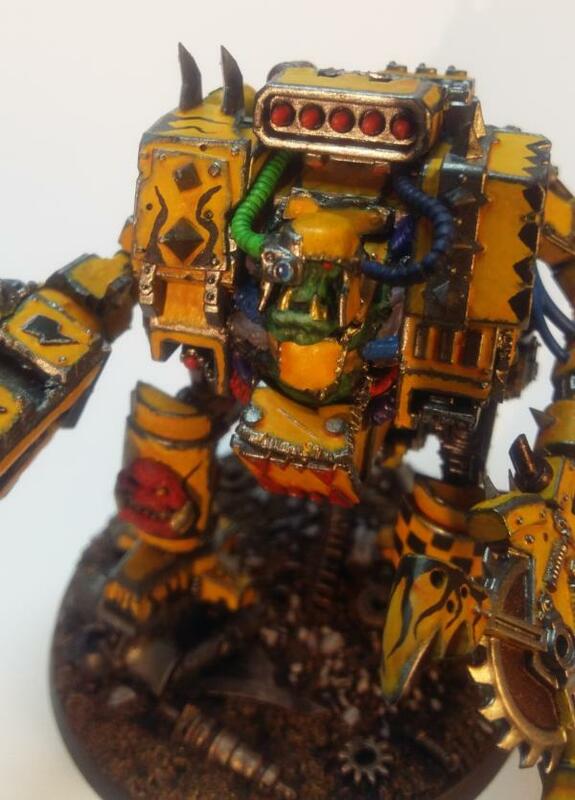 I followed a blog on Dakka Dakka (Link) for a while and the creator, wazzoo2000, did some really excellent conversions. 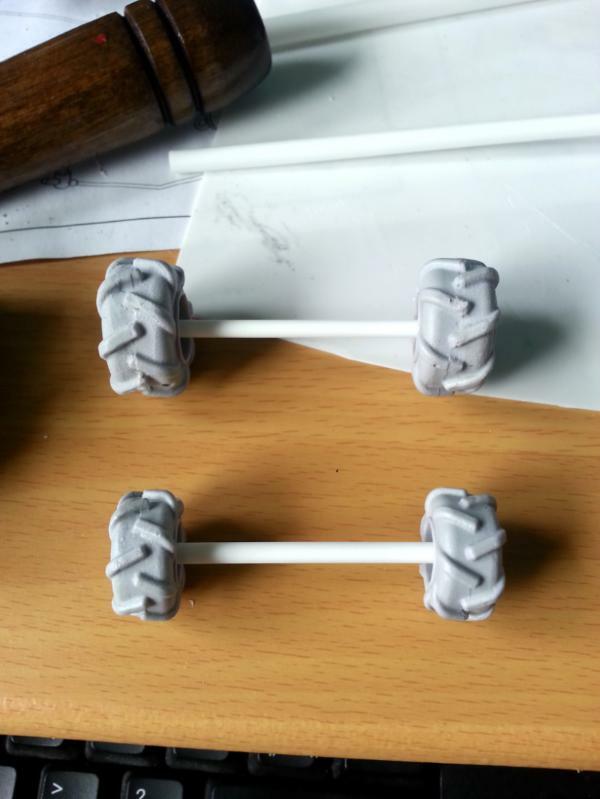 He also posted some tutorials on how to make his stuff which is where this model/idea came from. 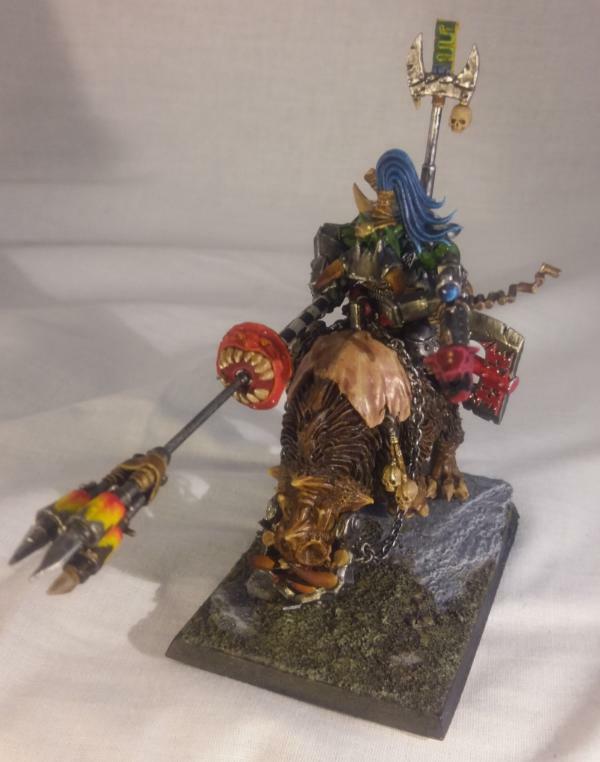 Unfortunately all his photos got deleted by accident, but he has recently started posting videos again which is great because he really does some fantastic conversions. 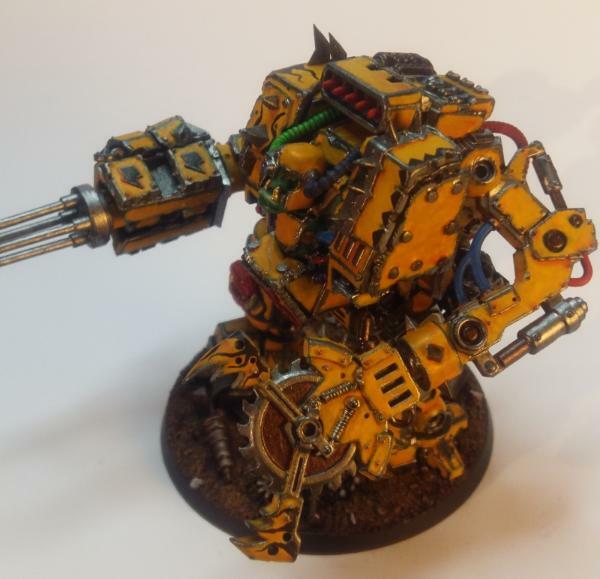 At the same time a good friend of mine started doing painting challenges on Dakka and encouraged me to join in, which I did with this model. It was a very nervous time since I knew I wasn't very good at painting and having people judge my work was a terrifying prospect. 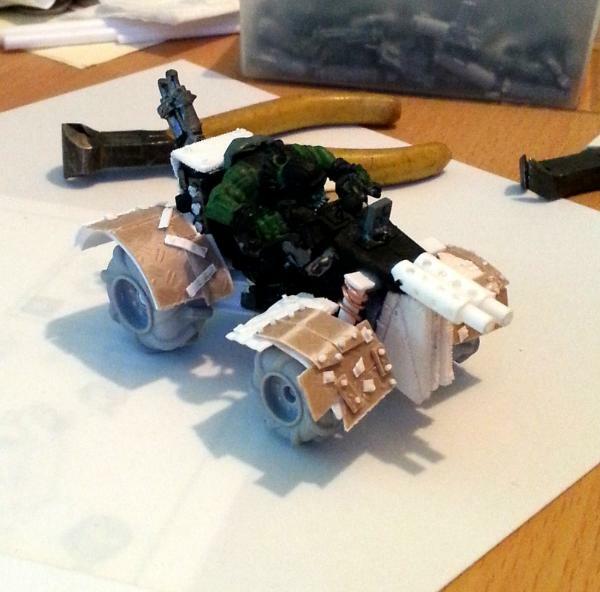 The Quad bike is a converted Deffkopta with wheels from Zinge Industries and some Plasticard armour plates. I got a total of 9 votes putting me in joint 16th place out of 34 entries. I was very happy I got any votes at all. Wow, this will be cool. 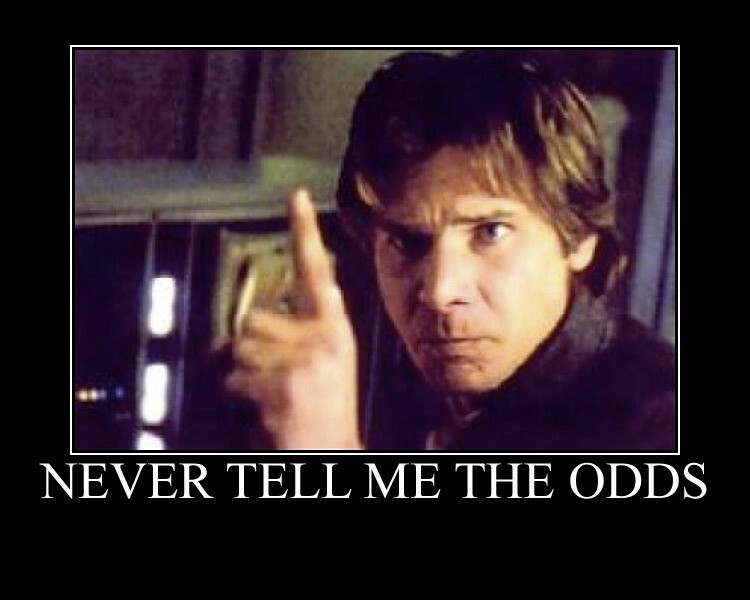 I'm really looking forward to this...do the orx-wing, do the orx-wing!! Skirr and Skiver, Fancyman of Cornwall and Best Friend of your Mother's. Well, color me interested in this. 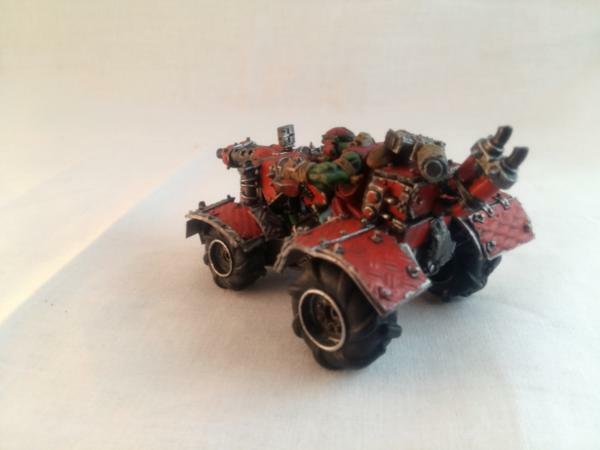 Your Orky Konvershuns have always been some of my favorites in the painting challenges. Who doesn’t love crazy mutant squawk-puppies? Eh? Nobody, that’s who. 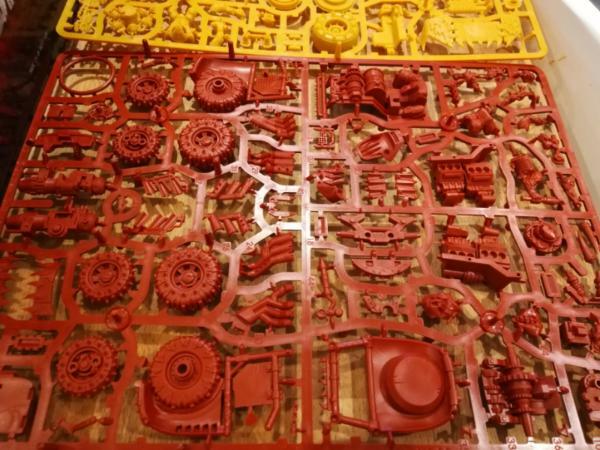 Man, the end result of your conversion looks like it ought to be an official product. Very professional work! 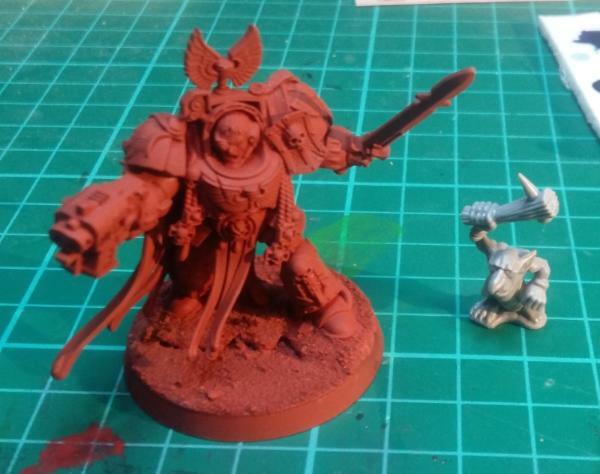 Thank you Zerg and SuspiciousSucculent, I do like doing conversions and having a completely unique model at the end of it. 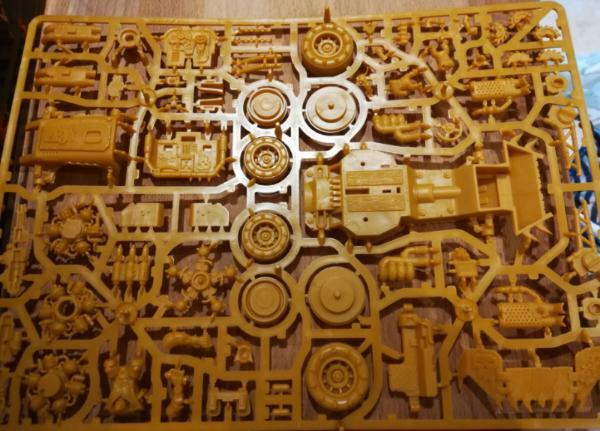 This was my first real conversion from my own mind. I even gave him a name (Skarteef) and a bit of fluff. 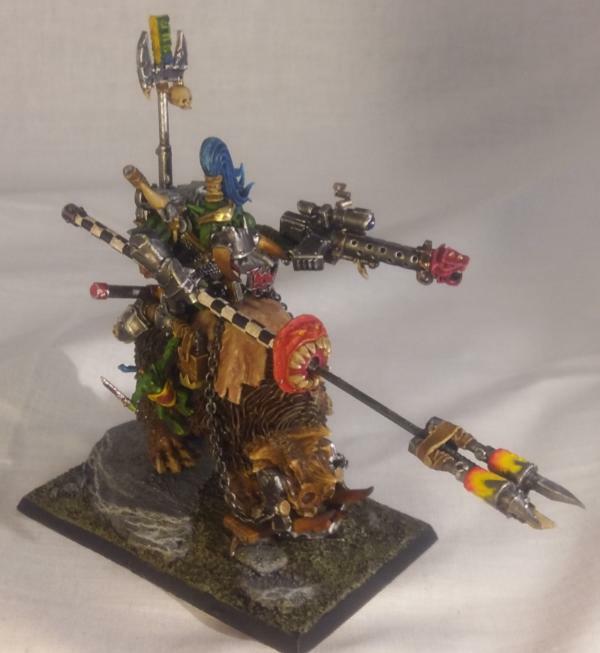 The Warboss is made up of an Orc Warboss body and boar rider legs with a Black Orc Banner/explosive pole, a Big Shoota and a snotling helper . 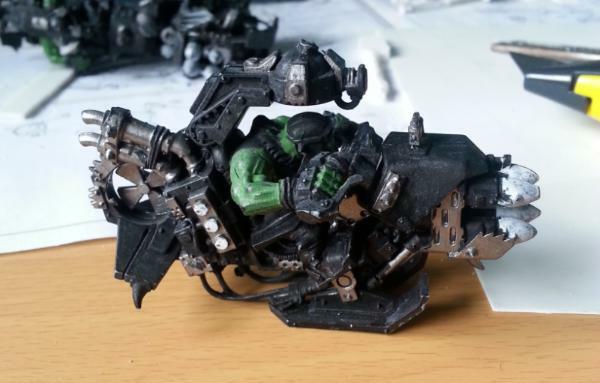 I also heated up a metal snake in the oven to try and bend it around the Warboss's waist as a sort of snake belt. 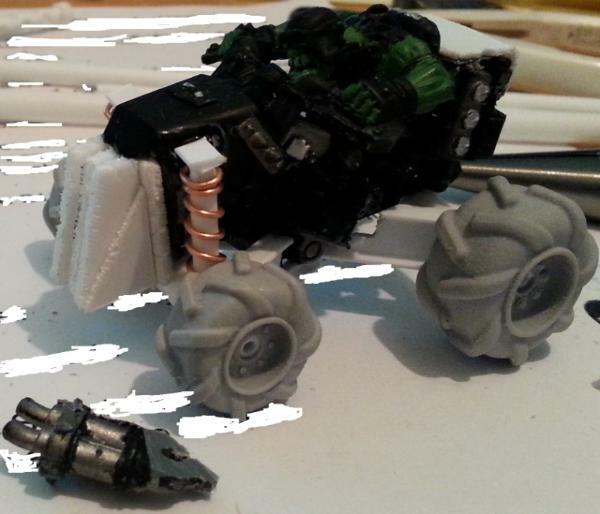 He is mounted on a Rhinox with a bike wheel cover as a jaw and chain reigns. I got a total of 9 votes (again) putting me in 13th place out of 32 entries. I was again very happy I got any votes. 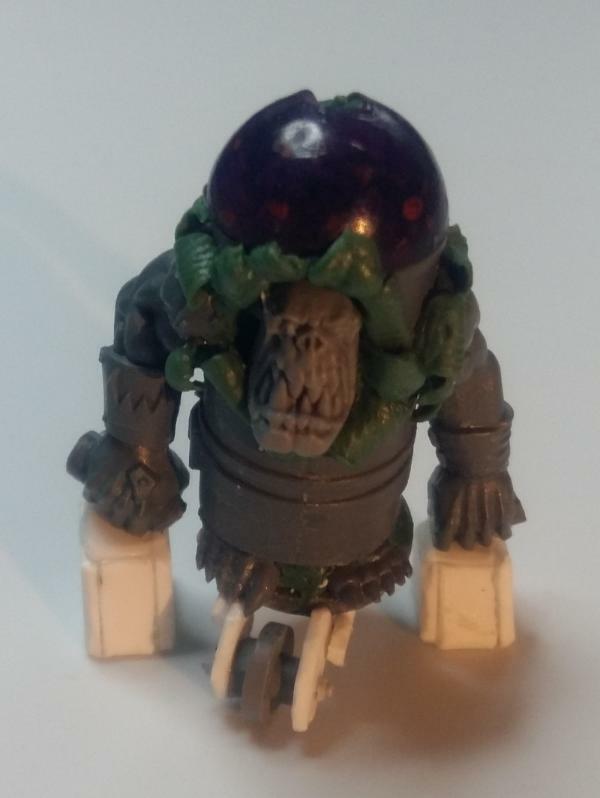 Skarteef is from the planet of Shillion in the Segmentum Ultimus. 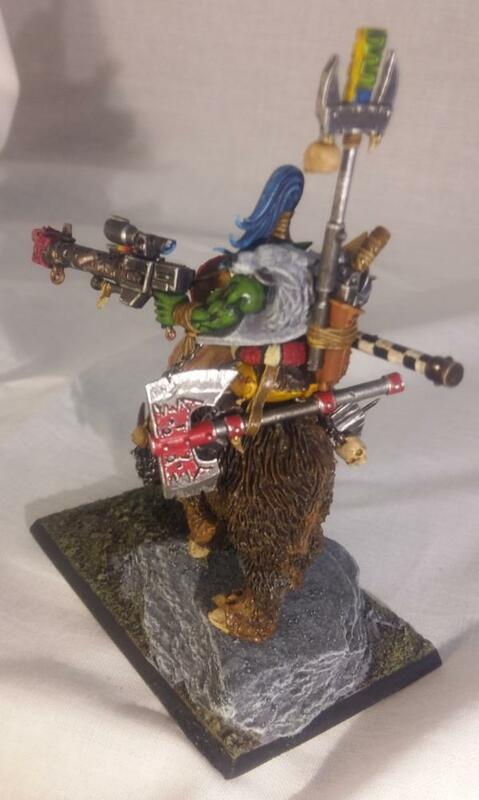 As a young nob, Skarteef choose to prove himself to the other nobs of the tribe by going on a hunt for a well known, dangerous wild boar with just his huge choppa, no shooty stuff. 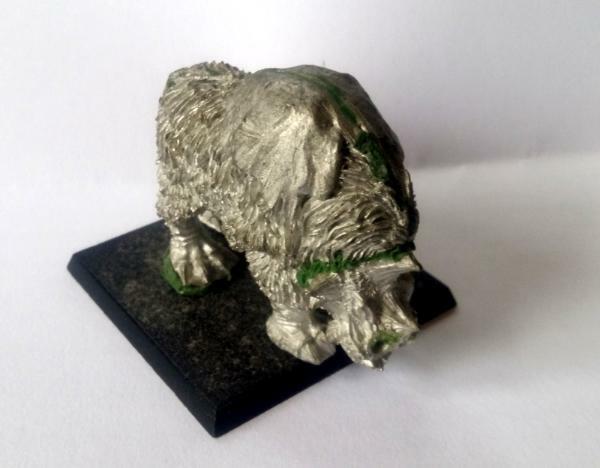 He tracked the boar down and charged the beast. After a close fight he emerged victorious but missing the whole of his lower jaw. Upon his return to the camp he was turned away from the docs for not having any teeth to pay. 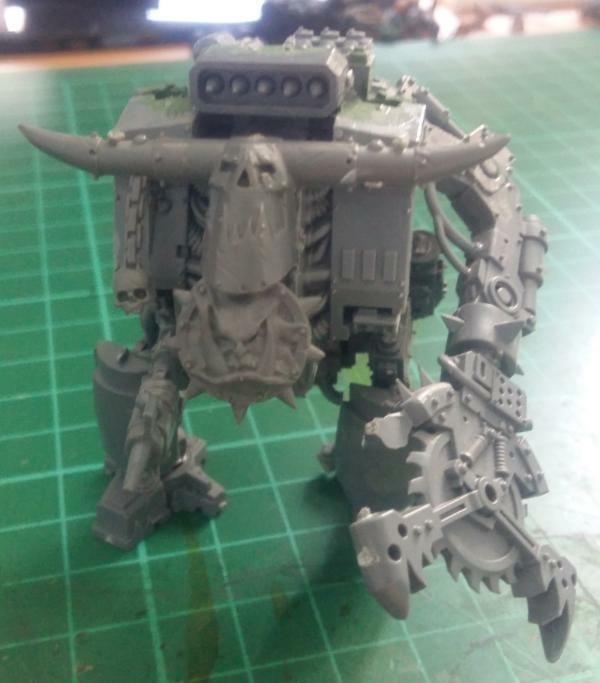 After knocking out the doc and taking his teeth he paid the tribes mad doc to attach the boar's tusks to a new metal jaw. The local PDF became aware of the small Ork camp and sent several squads of guardsmen backed up by a Leman Russ to destroy them, the fight was going badly for the Orks until Skarteef charged the tank with several found stikkbombs attached to a log. 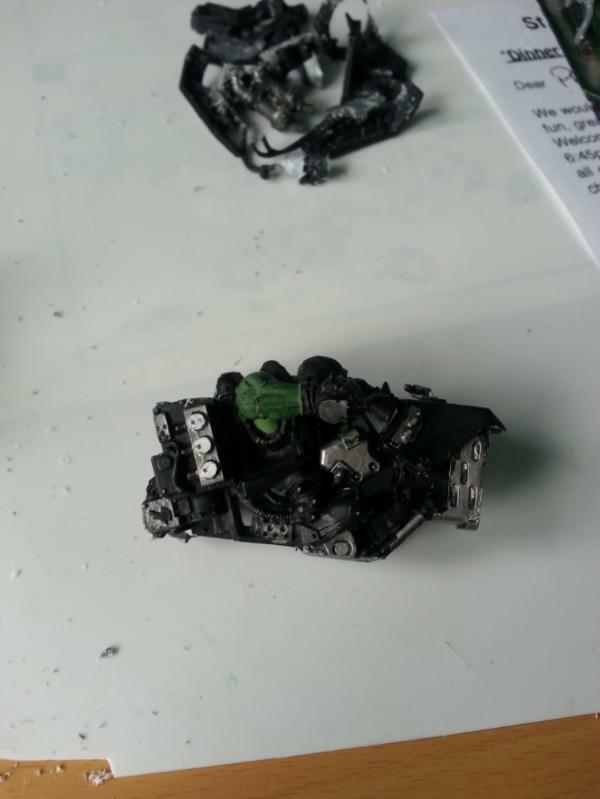 The resulting explosion threw the Ork back several dozen feet but destroyed the tank. After this mighty feat the battle was won and Skarteef rose to become the new Warboss. He was given the nickname "Skarteef, the Monstrous" after the local town discovered he had stolen a pole from an important Zebra crossing for the local school to create a new and improved stikkbomb lance. After becoming Warboss, Skarteef moved his tribe closer to the nearest big human settlement to hunt "umies. 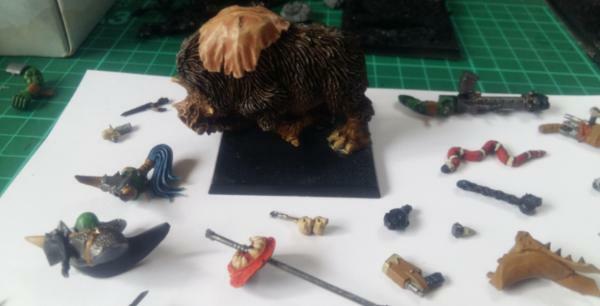 After several raids the locals paid a Ogryn bounty hunter to remove the Ork. Skarteef saw the Ogryn on the next raid and charged wanting the glory of the kill for himself. The Ogryn was a good fight and cost Skarteef his right eye but luckily he had another one, he flayed the Ogryns skin and now has it proudly displayed atop his Rhinox "Thunderstomp". 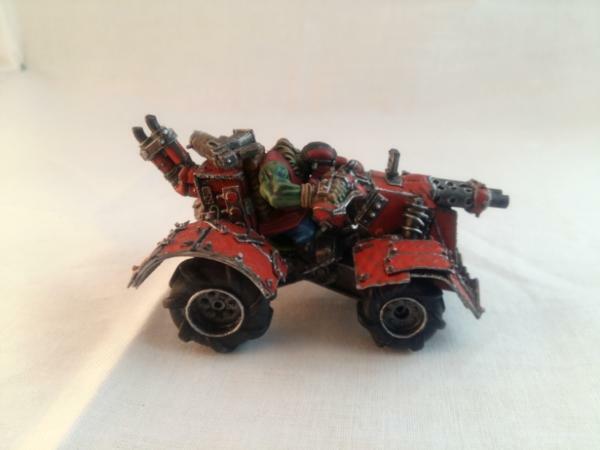 Thunderstomp is the biggest Rhinox on the planet of Shillon which lead Skarteef to track and capture the beast as his war mount. The snakes in the tribes new hunting area proved to be disappointingly poisonous so he had some really dangerous ones collected from their old camp and now wears then round his waist to keep his poison levels up. I got a few chapters of the 1st Gaunt's Ghosts book free as a promotion. I got quite into it so bought several of the books and loved reading them. I had recently placed an order with Victoria Miniatures for some of their Border World Rangers models and cloaks to build a unit of Tanith. 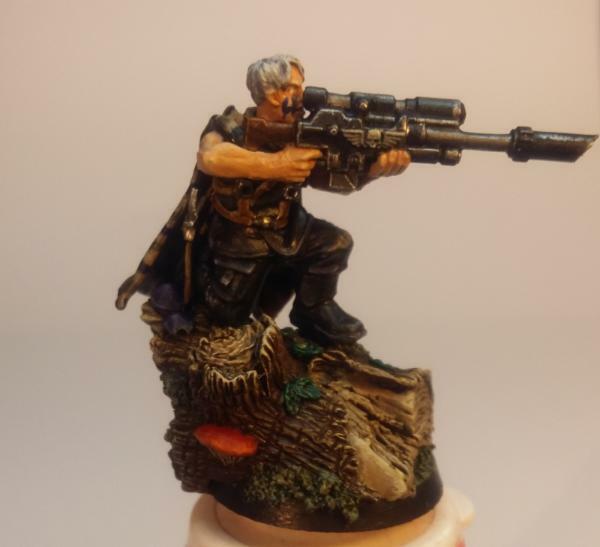 When the Sneaky topic came up I thought it was perfect for a Tanith Sniper to support that unit. 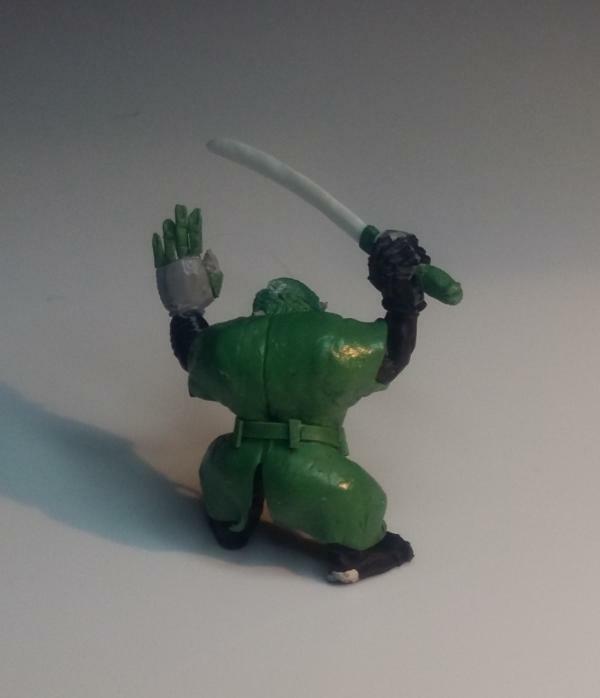 He is made up of Cadian legs and Border World Rangers torso, cloak arms and head. 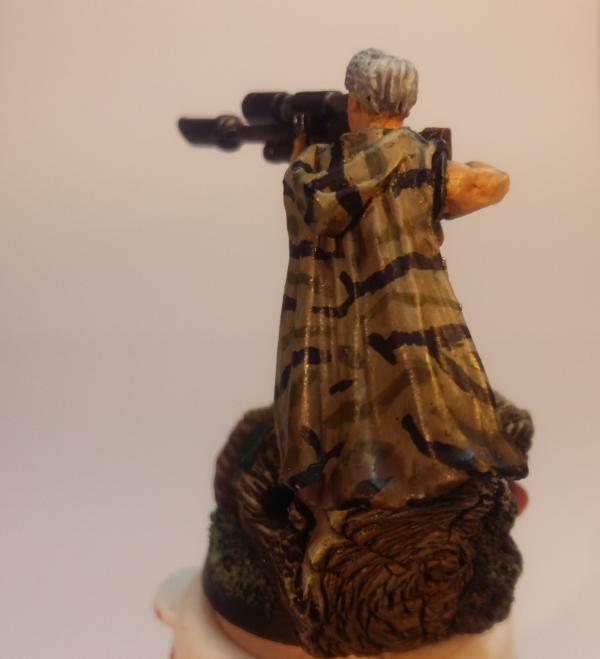 The sniper rifle is something I had in my bits box. 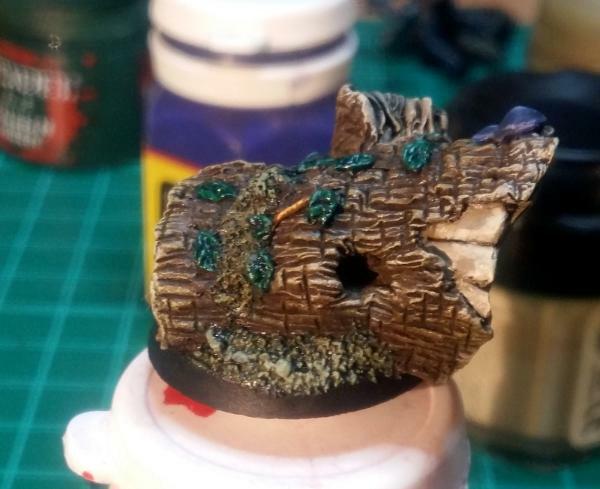 I liked how the base came out. I got a total of 9 votes putting me in joint 12th place out of 26 entries. Really top notch work on that buggy conversion. Keep it up. Currently focused on our Horus Heresy campaign with White Scars, Death Guard and Imperial Militia. The model was an ebay purchase/rescue which was a bit of a mess when I bought it. A bit of cutting, greenstuff and some extra bits and it started to look better The flames on the buzz saw came out well, other flames didn't and I also decided after taking these pictures I really need to improve my photography. I enjoyed turning something "preloved" that was a bit of a mess into something at least semi decent and recognisable. I got a total of 13 votes putting me in 11th place out of 27 entries. 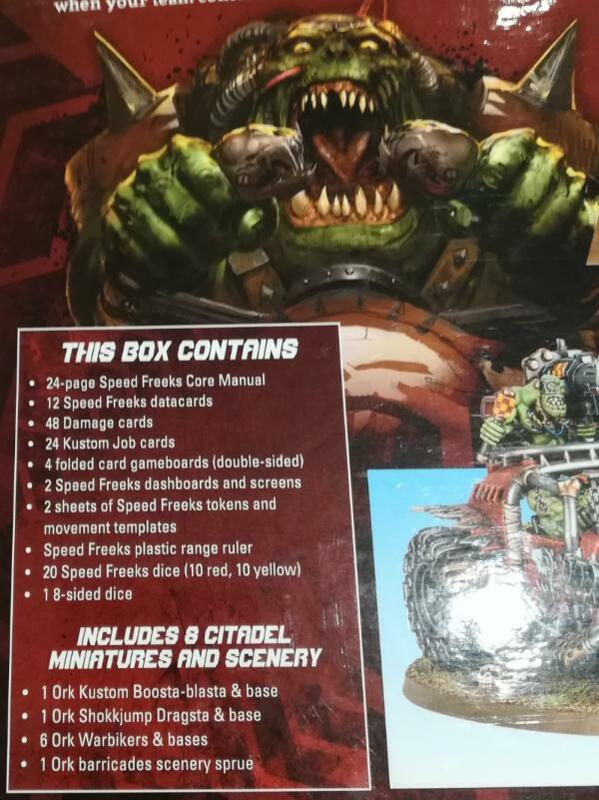 Glad to see someone else is trying to paint Orks for Orktober. 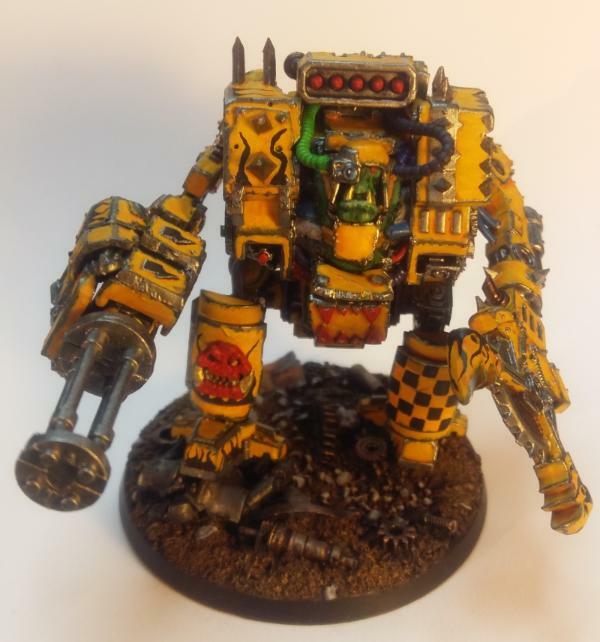 Please Check out my Painting Logs - More than 1000 individual photos of completed models shown. 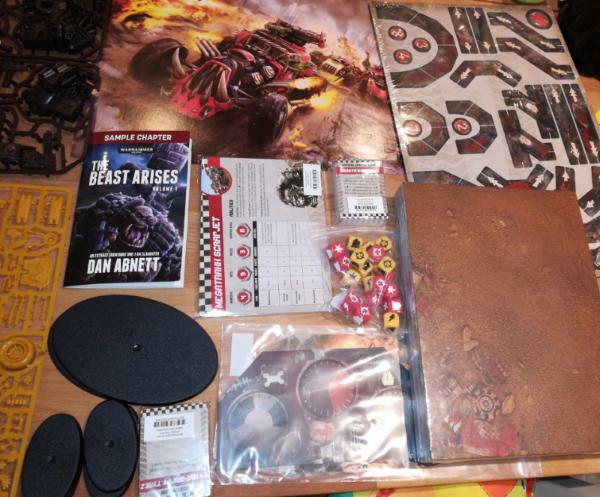 17 successful trades in the Dakka Swap Shop. Some Pics, if anyone wants me to take any more of anything specific just let me know. 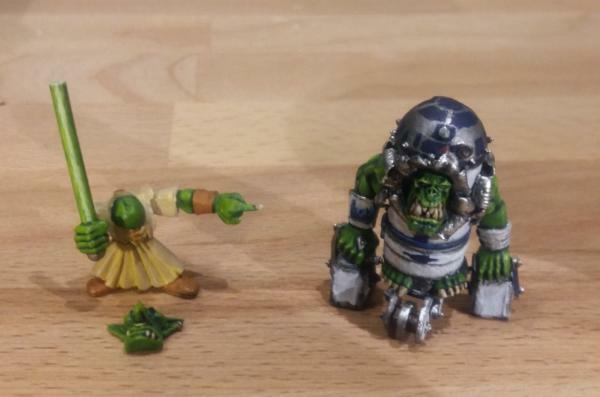 Since I enjoy the previous months modelling so much I decided to continue the Star Wars Ork theme with an Ork and Grot dressed up as R2D2 and Yoda for Halloween. When I came to painting the Lightsaber for Yoda that proved a bit beyond my skill and understanding of how to paint essentially a long round Light. I did try wet Blending for the first time on the lightsaber and it came out reasonably well, but doesn't look like a lightsaber. I had the idea to cut open a glow stick and paint the luminous filling on to make them more Ghoulish. This worked to a degree but the luminous liquid started to react with the paint and left it damaged, I managed to get photos before that happened but still annoying, so I don't recommend doing that. I got a total of 37 votes putting me in joint 3rd place out of 25 entries. Heh, those are isnpired. Nice work! Meercat: "All eyes turned to the horizon and beheld, in lonely and menacing grandeur, the silhouette of a single Grot robot chicken; a portent of evil days to come." For this entry I wanted to keep going with Greenstuff work and try a slightly more complex sculpt, So after watching the Video that inspired this months topic by Queen which was the soundtrack to the film Highlander (Link). 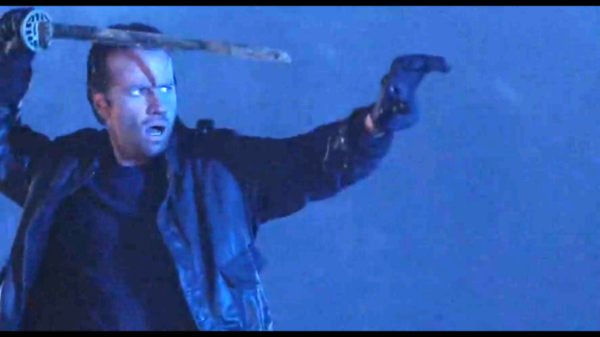 The music video peaked my interest and I watched the movie, it was on my list of cult films to eventually watch but this was a good reason to do it. 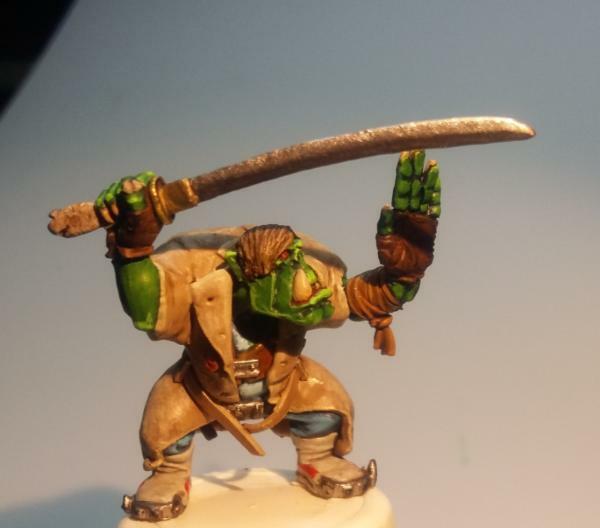 After watching I decided an Ork highlander complete with sword and trench coat would fit the theme and give me a bit of a challenge. 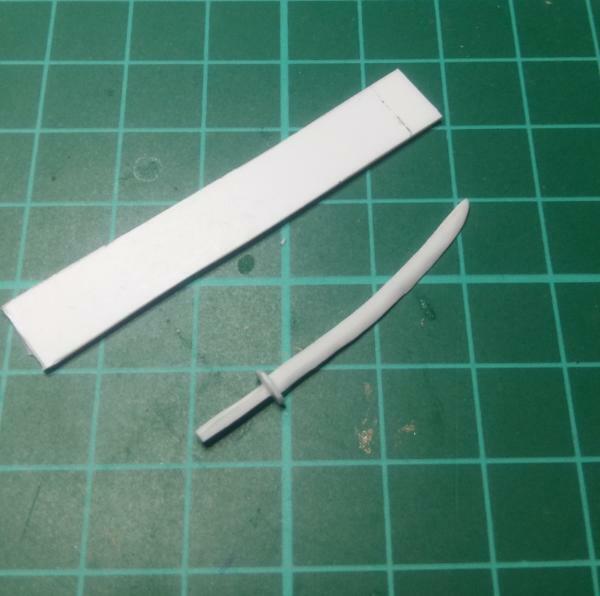 I carved the Katana out of Plasticard, trying to ensure it had the slight curve to the blade and looked like it had a cutting edge. November 2015 - Princes of the Universe! I got a total of 36 votes putting me in joint 7th place out of 25 entries. There can be only one. Ya git. Never ignore a pooh-pooh. I knew a Major who got pooh-poohed, made the mistake of ignoring the pooh-pooh. He pooh-poohed it! Fatal error! 'Cause it turned out all along that the soldier who pooh-poohed him had been pooh-poohing a lot of other officers who pooh-poohed their pooh-poohs. In the end, we had to disband the regiment. Pretty fun . Will the trike be ghostrider? Or more Mad Max inspired? I believe the eighties-version with Mekl Gibson has some trikes in it. 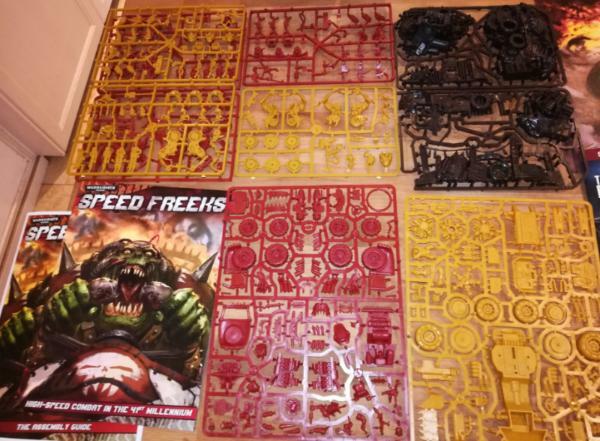 A Dakkanaught called KB_Lock had an idea to try and create a Worldwide "Dakka" Ork Clan by sending Orks out to various people for them to paint, modify and then return to him. Its a long running project with all the logistical nightmares you can expect when sending dozens of figures out to random people cross the planet and hoping they return them. I really liked the idea so sign up for 1 of the original boys and donated 1 of my own for company on the journey. Some minor conversions to make them look less like AOBR boyz and they where done. 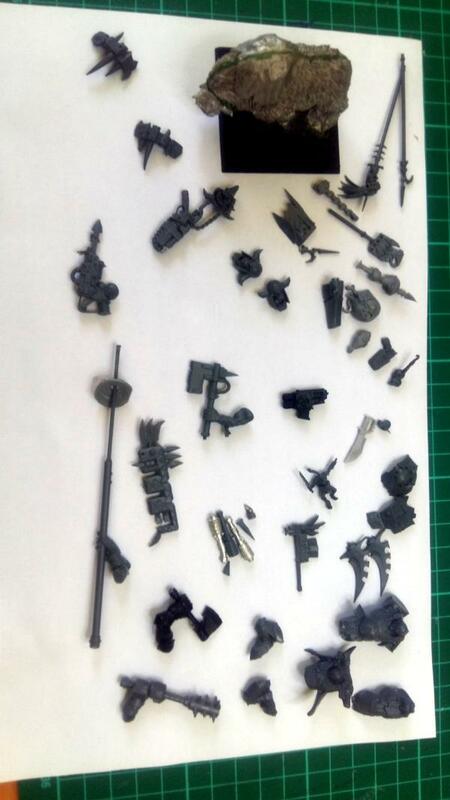 Is that an old WHFB orcs sword I spot there? Nicely done! 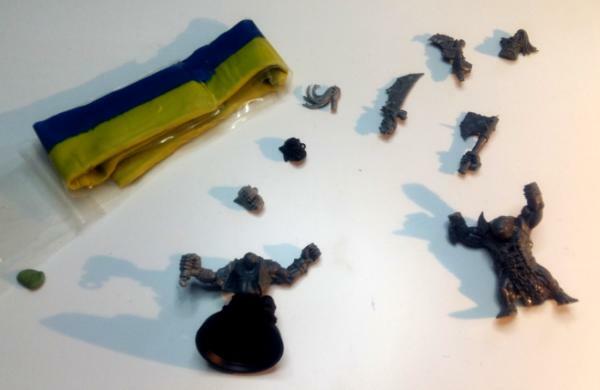 Yep, a savage ork sword and also a Nid pad, the other one is trying to be cool and hold his weapons at jaunty angles . With the AOBR boyz I always like to add a least a little something extra so they don't look like all the others I've seen hundreds of times. 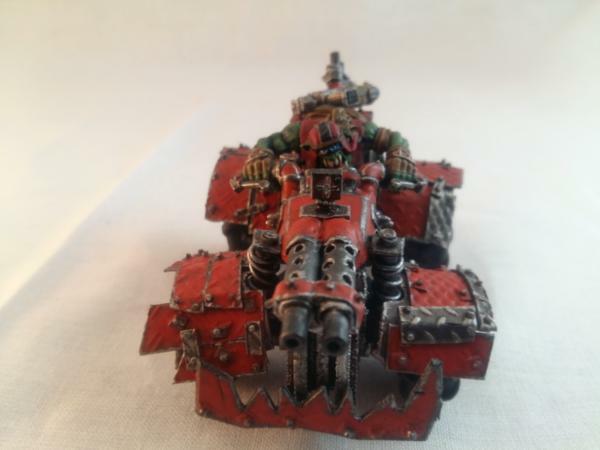 No idea what happened to these boyz in the end and if they ever made it to join the Waaagh! Might have got lost in the Warp. That was a fun project. 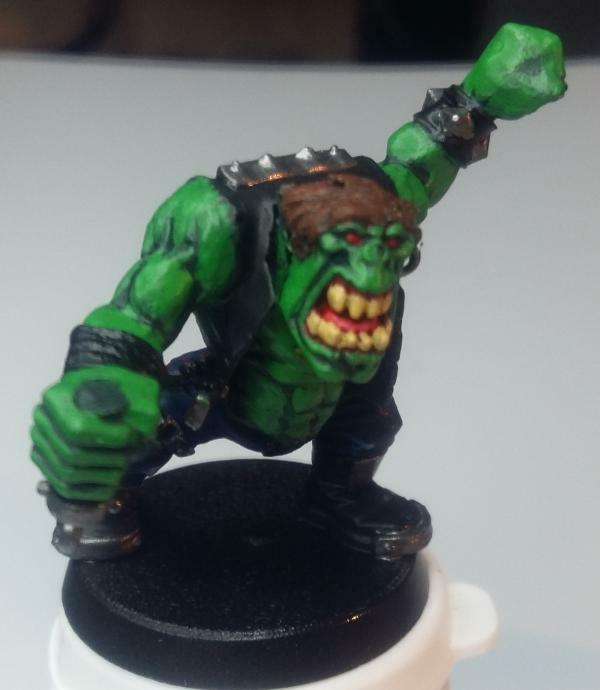 I wonder as well what become of the poor boy I sent off to join the great Waaaagh. 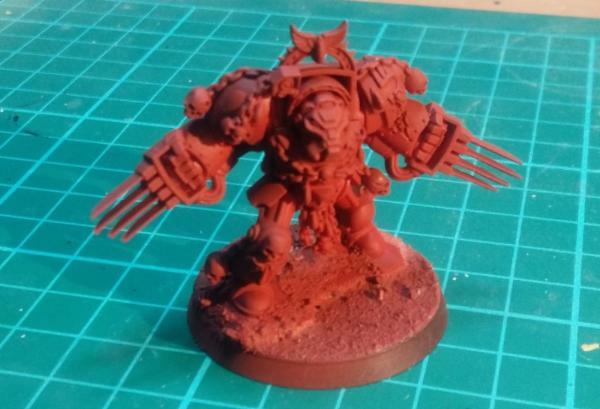 The majority of my entries had been Ork related so I decide to go for a Space Hulk Character as a change since it fitted the theme of close combat related. I really liked the models from the Space Hulk box so was something I was looking forward to. 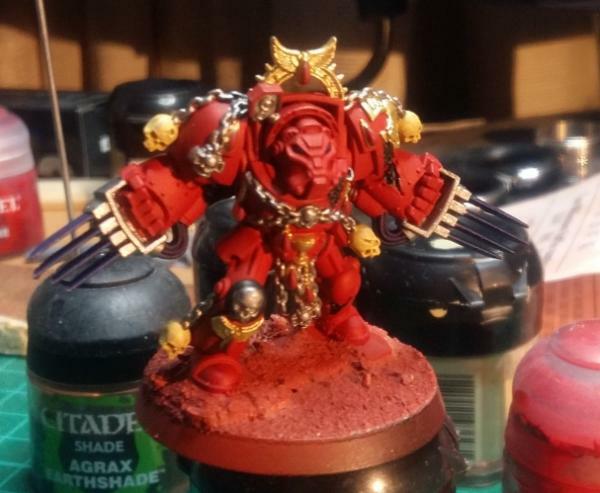 It was my first time in about 10 years painting a SM I don't think I did the model justice but I learnt something about paint red, painting flat armoured surfaces and highlighting them which I put to use in the future. January 2016 - Up Close And Personal! I got a total of 12 votes putting me in 15th place out of 29 entries. I quite enjoyed painting Brother Claudio last month and do really like the models for the space hulk box so found a way to combine another model from that box with the competition topic of "size matters not" I also felt I could improve on the painting from last month. My justification was "size matters not" if your not wearing a helmet even a Snotling can bash your head in. The Face came out well and the armour looks a bit better with more prominent edge highlights but the lightning on the sword could be much better. I got a total of 22 votes putting me in joint 5th place out of 33 entries. Like the work on the lightning claws. 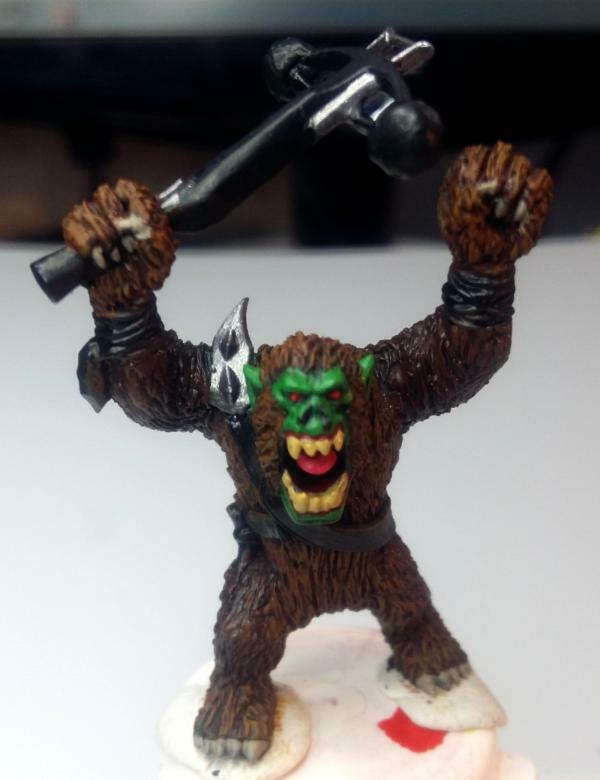 I love the fun you capture with your orc conversions.